Open Water swimming is an exciting next step for confident indoor swimmers who are keen to try something new. 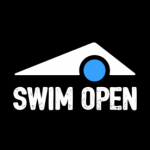 Edge swim school is really excited to be working in partnership with Swim Open who offer open water swimming lessons to both adults and juniors. The experts at Swim Open run courses and one-to-one lessons in three amazing venues. Whether you are an open water beginner, improver or expert, Swim Open can help develop your ability, drawing on the skills learnt in the pool and applying them to the outdoor environment. Open Water swimming breaks away from the confines of the swimming pool and allows adults and juniors alike, access to amazing outdoor venues where they can have fun and develop some amazing (not to mention life saving!) new skills. Swimming in the open water is incredibly exhilarating and rewarding. So why not give it a try? Kat (Co-Founder of Swim Open) has been working with Edge Swim school for a number of years as a teacher and staff trainer, supporting us with her wealth of experience in the water. Swim Open shares our core values, seeking to inspire future generations.